What Are Some Adaptations of a Tiger? Ferocious, beautiful, powerful and strong, tigers rule the jungle. They resemble enormous cats, but unlike cats, they don't make for good house pets. 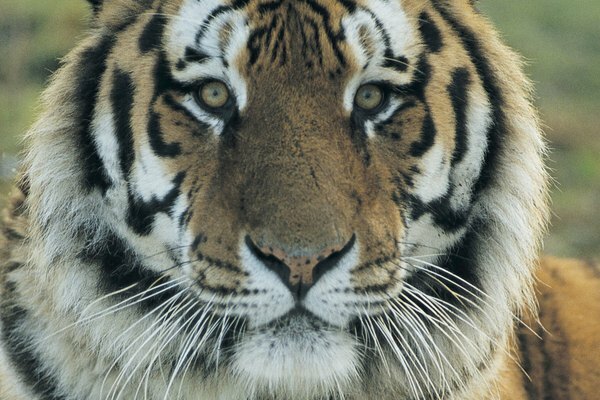 Male tigers can grow up to 9 feet in length and weigh up to 660 pounds. Females can be up to 6 feet and 500 pounds. Animals, including tigers, survive largely because of adaptations such as behavioral and physical characteristics that have evolved over time. 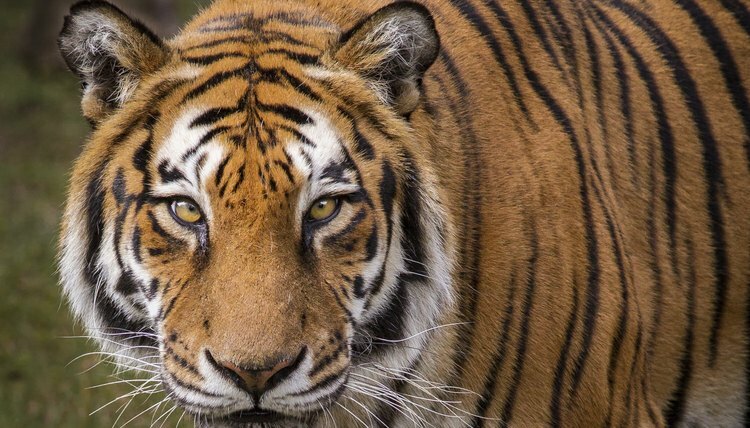 Tigers' stripes aren’t just for show. 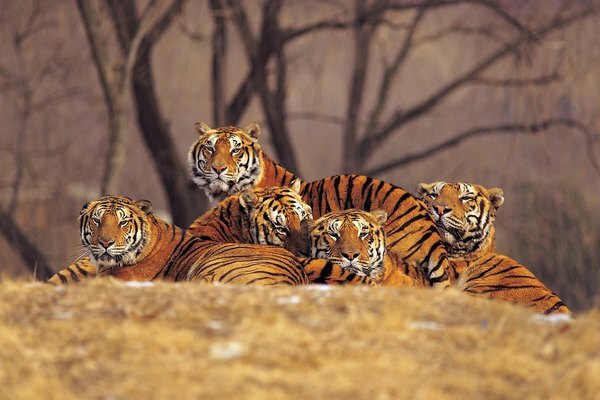 They’re an adaptation that gives tigers the ability to blend in with their surroundings. Although the stripes stand out at the zoo, they make tigers nearly invisible in their natural habitats because they create similar patterns to sunlight beaming through trees and jungle grasses. 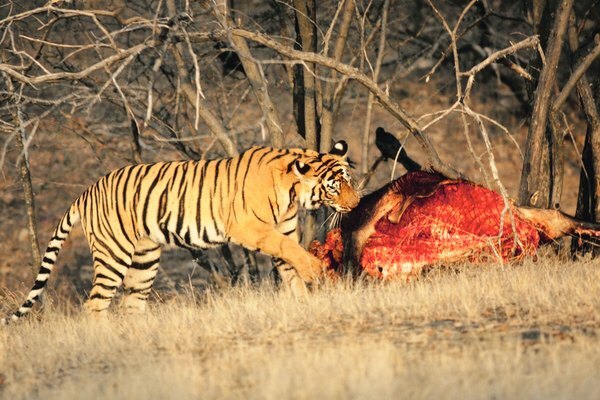 This makes it difficult for both predators and prey to spot tigers in the wild. Tigers have physical adaptations that make them very effective hunters. They have flexible spines and long hind limbs which allow them to jump up to 33 feet in a single bound. A tiger’s strength and muscular structure gives her the ability to swim, run and capture prey. Tigers have soft pads on their feet that allow them to walk on their toes and sneak up on unsuspecting prey. 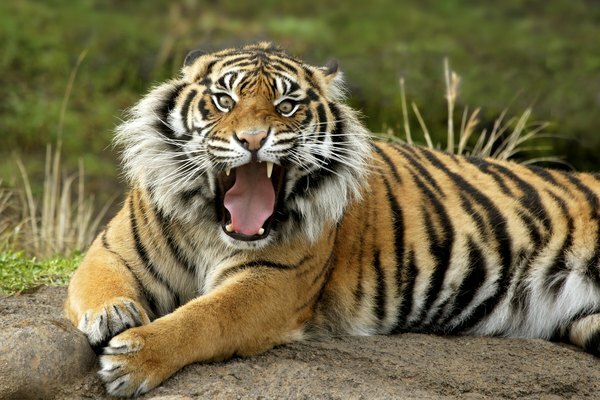 Tigers also have razor-sharp claws that they use to fight each other as well as maim and kill prey. Tigers are able to expand their throats, an adaptation that allows them to swallow food in large pieces or even whole. They have the ability to curve their front legs inward, which lets them hold prey as they consume it. They also have strong jaws with an array of teeth for killing, chewing, tearing and biting. Tigers are primarily nocturnal hunters, possible because of their night vision. They have the ability to see long distances both day and night. Tigers also have extremely sensitive hearing capabilities. They are able to communicate using infrasound, which is inaudible to most other species. Tigers also have a keen sense of smell and they rely on scent to mark their territories. Tigers normally hunt alone, which provides the benefit of stealth. Like all cats, they tend to be solitary creatures. However, they’ll hunt in packs if necessary. Females have the primary responsibility of raising tiger cubs. Because of this, females are adapted to be better hunters than males. 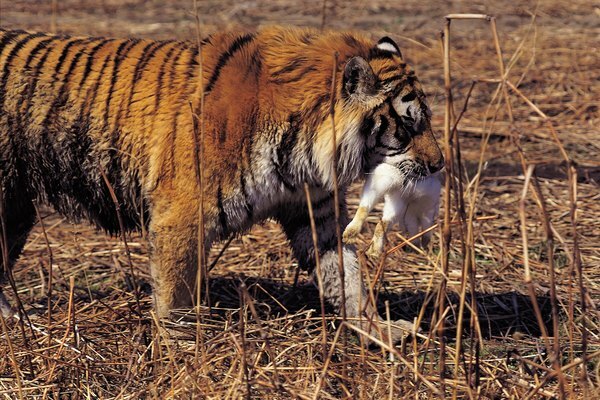 Until tiger cubs are several months old, they rely on their mothers to hunt for their food. After a few years, cubs are able to claim their own territories and hunt on their own.